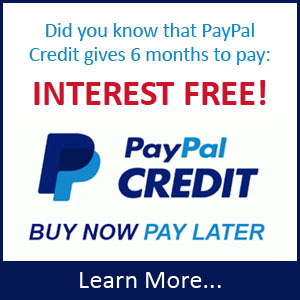 Add to Cart and Checkout normally using your PERSONAL details. Our website will automatically assign you RETAIL status, which means you won’t be able to get the ActiVet® Discount just yet. A Groomers Helper® representative will go over your application. Once approved you will receive a Welcome Email and your status will be changed from RETAIL to PetSmart® Stylist. 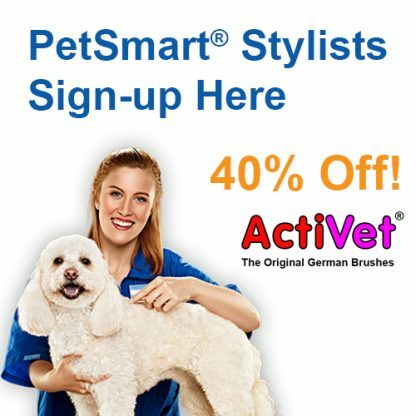 At that point you can begin to purchase ActiVet® Brushes using the specially assigned area for PetSmart® Stylists. You will not be able to purchase other Groomers Helper® products while signed in as a PetSmart® Stylist. To qualify you MUST be a currently employed PetSmart® Stylist – That’s all! PetSmart® Stylists cannot purchase products for the sole purpose of reselling them.